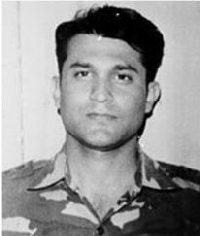 Major Ajay Kumar Jasrotia was born on 31 Mar 1972. He hailed from Gandhinagar in Jammu and did his schooling in his hometown. He was nicknamed Rambo for his physicality in his school days. 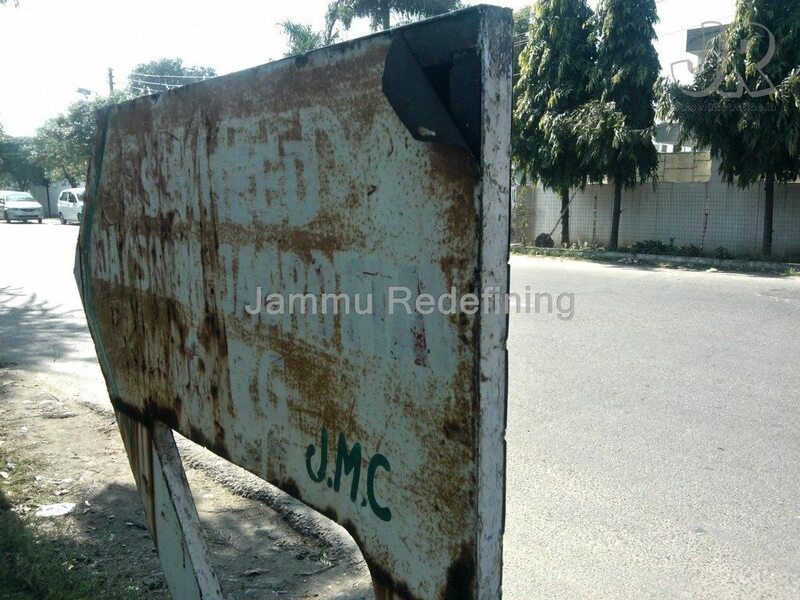 He graduated from Commerce college in Jammu and joined the Army after that. His family had a rich tradition of officers in the army. His grandfather Lt. Col. Khajoor Singh and father DIG BSF Arjun Singh Jasrotia had served in the army before him. His mother’s name is Beena. Major Ajay Singh Jasrotia was in the Jammu and Kashmir rifles regiment. He moved with the unit for Operation Vijay as part of 56 Mountain Brigade on 15 Jun 1999. Their mission was to recapture Point 5140, which dominated the Srinagar – Leh highway. It was at a height of 17,000 feet along the Tololing Ridge line and was the highest position occupied by the Pakistani Army intruders in the Kargil sector. Three battalions were sent out from different directions namely Garhwal Rifles, Naga Regiment and Jammu and Kashmir Rifles, which Major Jasrotia was part of, to capture the point 5140, which highlights the significance of this peak. His unit moved towards their mission on 15 June 1999. However, their location came under heavy artillery shelling from the enemy troops. The first shell resulted in injuries to six soldiers. This sent a wave of shock and panic across the unit and his troops desperately ran for cover. He realized that the operation had gone wrong and that he had to take control of the situation. Sensing the gravity of the situation, he took charge and ordered his men to take cover within the area of the administrative base. He took it upon himself to rescue the injured troops. He motored on despite heavy artillery shelling and tended to the wounded soldiers and arranged for their evacuation to safety. He organized troops into groups and arranged for them to carry the soldiers on their backs. 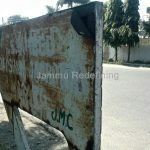 A shell landed in the close vicinity of Major Ajay Jasrotia and he was seriously injured. He however continued the evacuation of his injured troops. He was losing a lot of blood and his condition worsened. Despite persistent persuasions by the troops, he refused to leave the battleground as life slowly ebbed out of him. He finally succumbed to his injuries. He got six causalities to safety before he collapsed due to his injuries. His efforts were successful as all the six soldiers survived and lived on. He disregarded his own personal safety for that of his troops. His contributions were recognized and he was awarded the Sena Medal posthumously. His acts of extreme courage and valor made him a hero in his battalion and a role model to the youth in his state. 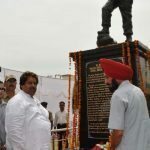 There was an outpouring of grief on learning about the supreme sacrifice of Major Ajay Singh Jasrotia. His body was received at Jammu Air Post by Brig IP Singh. Wreaths were laid on behalf of GOC-in-C Northern Command. GOC 16 Corps, GOC Tiger Division and Col. J&K Rifles. He was given full military honors when being laid to rest. Thousands of people paid their respects to him on his final journey. There were chants of praise when he was consigned to flames at Shanti Dham, Shastri Nagar. His family was in grief and despair but they were filled with pride about his achievements. A movie called LOC Kargil, directed by JP Dutta released in 2003, based on and depicted the events of the Kargil War. Actor Manish Behl portrayed the role of Major Ajay Singh Jasrotia in the film. 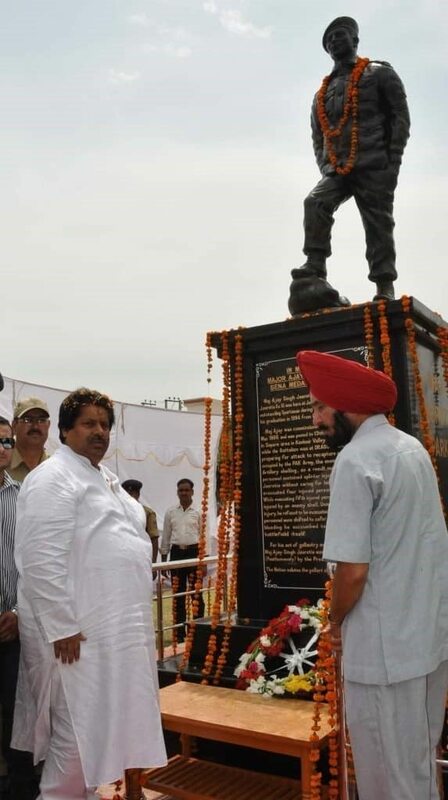 A statue has been erected in his honor in his native town Shasti Nagar, Jammu. The road leading to his house has been renamed in his honor. You will always be Saluted for your Utmost Courage and Supreme Sacrifice to the Motherland. Proud of you. Your supreme sacrifice has not been forgotten.